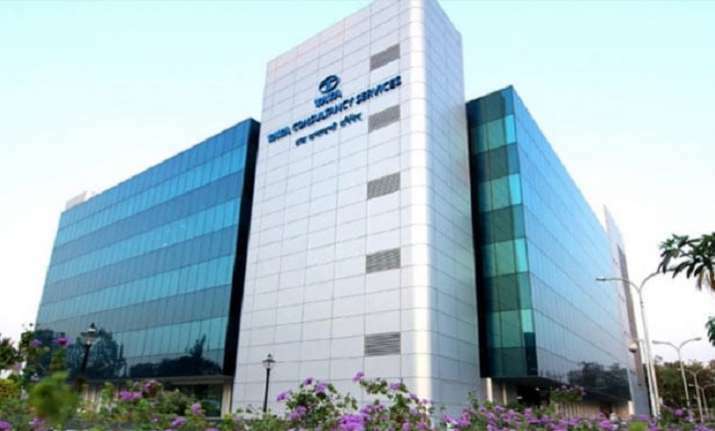 TCS Friday reported 17.7 per cent growth in consolidated net profit at Rs 8,126 crore for the March 2019 quarter. Shares of Tata Consultancy Services (TCS) Monday gained nearly 4 per cent after the company reported 17.7 per cent growth in consolidated net profit for the March 2019 quarter. The scrip after making a positive opening further jumped 3.56 per cent to Rs 2,085.60 on the BSE. At the NSE, shares of the company rose by 3.64 per cent to Rs 2,088. On the volume front, one lakh shares of the company were traded on the BSE and over 28 lakh shares on the NSE, during the morning trade. "TCS beat street/our estimates on revenues," Emkay Global Financial Services said in a report on Saturday. Revenue of the firm grew 18.5 per cent in the quarter under review to Rs 38,010 crore from Rs 32,075 crore in the corresponding period last fiscal, it added.